Yamaha boss Andrea Dosoli has called for the WorldSSP300 regulations to be re-balanced after branding them ‘unfair’ to his riders. The series comprises bikes from manufacturers that are not all the same in engine capacity, so the technical regulations are written to try and ensure parity across the grid. 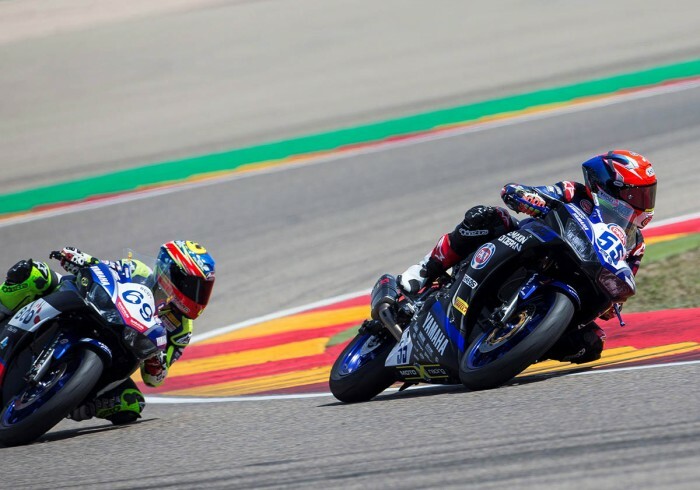 Dosoli believes the 300cc R3 is now at a disadvantage as the first Yamaha home at Aragon was Daniel Valle, a regular podium challenger last year, in 13th. In terms of top speed - vital at Aragon - the R3 was sometimes as much as 10kph down on top speed when compared to the 400cc Kawasaki and 390cc KTM. “All of our Yamaha riders, and especially the bLU cRU guys, have done a fantastic job during the winter and it obvious to everyone the results of this hard work because all of them were able to go under the fastest time set by a Yamaha last year, some by two seconds,” said Dosoli. “This shows the job done during the winter started to pay dividends and we are very proud of them all. Unfortunately, they were up against unfair competition due to the incorrect levels of performances between the manufacturers, when the technical regulations are designed to provide a level playing field.